Welcome back to “Know a Nominee,” the interview series that puts you squarely between the ears of this year’s Bram Stoker Award nominees. 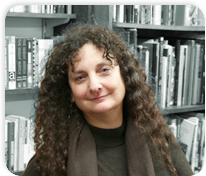 Today’s update features Ellen Datlow, nominated in the category of Superior Achievement in an Anthology for Fearful Symmetries. ED: I love editing non-theme anthologies so whenever I get the chance, I do. Fearful Symmetries was crowd-funded, and I partnered with ChiZine Publications to make it a reality. ED: Gathering support for the a non-themed horror anthology. The most challenging and simultaneously rewarding aspect of editing any original anthology is hoping the writers you solicit will come through with brilliant stories–and when they do, well that’s what we all work toward, I think. ED: It disturbs, create disquiet, makes the reader uncomfortable in some way. It instills a feeling of dread in the reader, dread as to what will happen to these characters in whom you have some emotional (hopefully) investment. I believe the stories in Fearful Symmetries do just that. In addition, an anthology like Fearful Symmetries is intended as a showcase for the sheer variety that “horror literature” can encompass. And in that goal I also believe it succeeds. ED: Once I come up with an idea, I approach writers whose work I love and who I think might fit within that framework. No. I never get stuck. The only sticking point is selling the anthology I want to do to an appropriate publisher. you’ve worked on doesn’t pan out, use bits and pieces of it for other works. ED: Meeting and socializing with my friends and colleagues. ED The poisonous political atmosphere of the United States. The denial of the obvious (climate change, etc). Personally, the idea of losing control of my life. I don’t think my own fears influence my editing work. ED: I’m about to read Hard Light, Elizabeth Hand’s newest Cass Neary novel (crime/dark suspense) in ms. Cass is a screwed up but brilliant photographer who came out of the punk era in NYC a mess. She’s become involved in horrific events, since the first novel Generation Loss, and things only got worse in Available Dark. I’ve just finished reading for the Best Horror of the Year volume 7 and have taken a break before reading novels (or stories, for that matter) for #8.